Critics, including Inuit organizations, worry the plan's broad caribou habitat protections will block economic growth. The Nunavut Planning Commission is taking another crack at revising its draft land use plan for the territory. The planning commission held public hearings for the draft plan for the Qikiqtani region in Iqaluit on March 2017. But it indefinitely postponed hearings for the Kivalliq and Kitikmeot regions, following much public criticism over the draft plan. Among those critics are Nunavut’s Inuit organizations. They teamed up to denounce the plan’s blanket protections for caribou habitat, which they worry will stifle the territory’s economic development. Earlier this month, the planning commission says it received a joint letter from the federal government, Government of Nunavut and Nunavut Tunngavik Inc. that says to not bother with the remaining regional hearings for the draft plan, as it exists now. Instead, those parties want the plan revised first. The revised plan would be subject to new public hearings in all three regions. In response, the planning commission says it is inviting new written submissions about the draft land use plan by Oct. 19. Nunavut’s draft land use plan has been in the making since the early 1990s. The final draft land use plan was released in June 2016. In April, an official with the planning commission said that a completed land use plan for the territory won’t be ready until 2022. Paul Crowley, World Wildlife Fund Canada’s vice-president of Arctic conservation, said in a news release that he’s happy to see land-use planning talks resume. 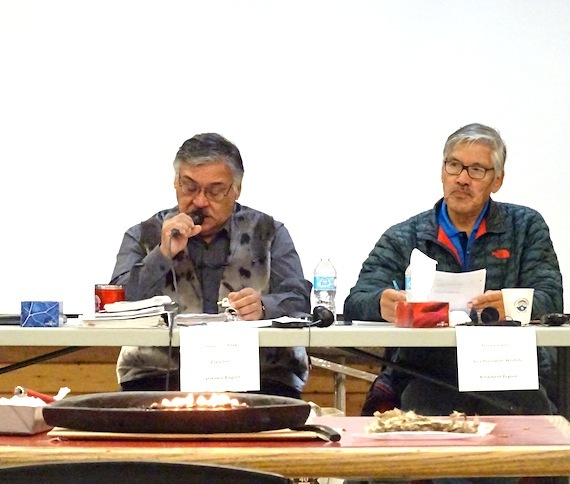 However, Crowley said he’s disappointed that the planning commission wasn’t given funds to hold public hearings for its current plan in the Kivalliq and Kitikmeot regions.